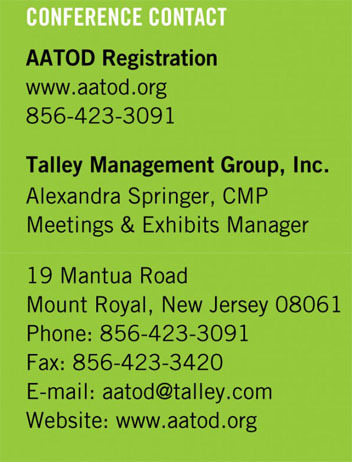 We are pleased to announce the 2018 AATOD Conference. The conference theme, Advancing & Integrating Specialized Addiction Treatment & Recovery, focused on realizing the goals of Medication Assisted Treatment in a Comprehensive Hub setting. 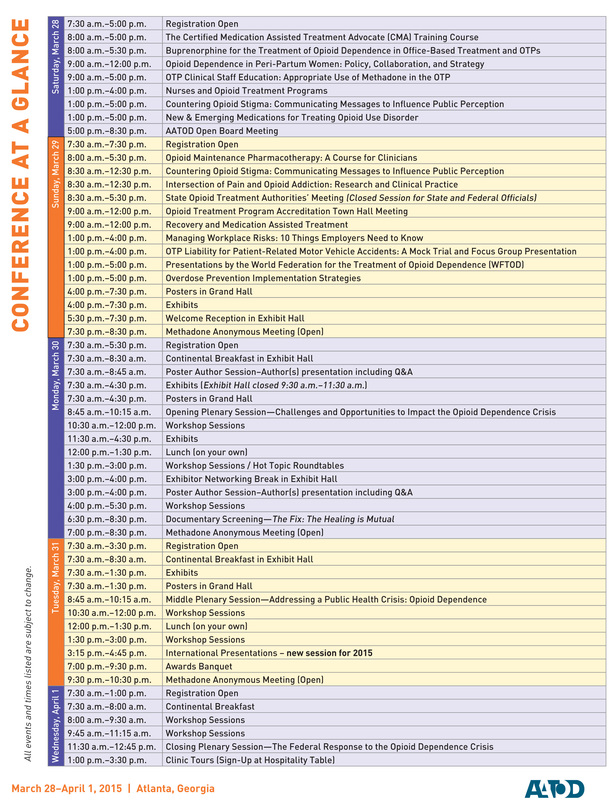 AATOD has a history of providing an outstanding conference experience filled with state-of-the-art training and cutting edge information for medication assisted treatment providers, policy makers, peers and advocates. Our planning committees are working diligently to ensure a fascinating event. 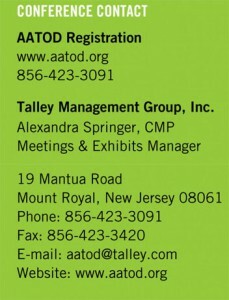 The AATOD Conference is the largest gathering of the opioid treatment community. This conference brought innovative people together in a diverse array of forums and workshops. Hot Topic Roundtable discussions, inspirational plenary sessions, in-person and virtual tours of programs, and exhibit booths with the latest technologies, science and products that support our work are just a few of the activities that surely stimulated participant discussion, debate and innovative ideas to take back home to our respective areas of work, our communities, and our treatment programs nationwide. On behalf of AATOD’s Board, our hosts, and our planning committee, we hope that this conference brought an unforgettable opportunity to interact with some of the leading national and international experts regarding medication-assisted treatment, health care reform, integrating systems of delivery, and our response to an ever-increasing public health crisis.